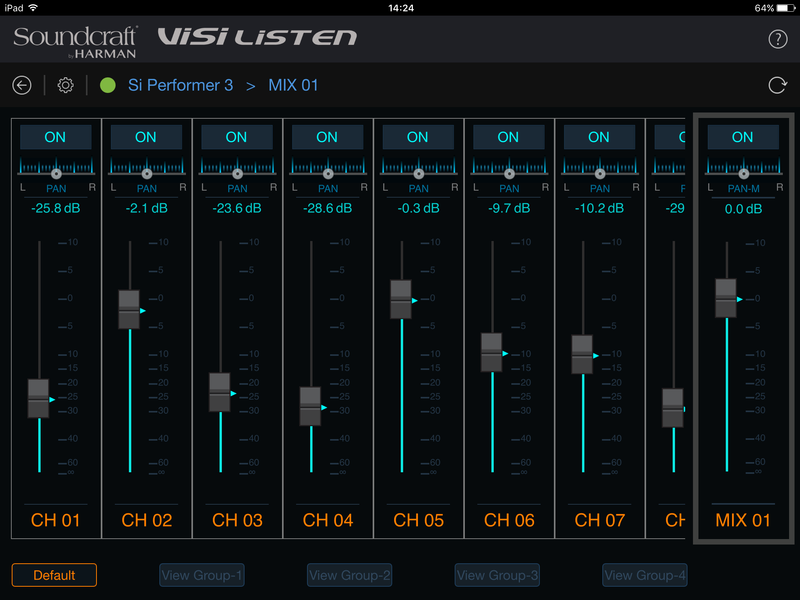 The all-new ViSi Listen App from Soundcraft allows wireless remote control of mix bus contribution levels in Si Series mixing consoles right from an iOS or Android tablet. 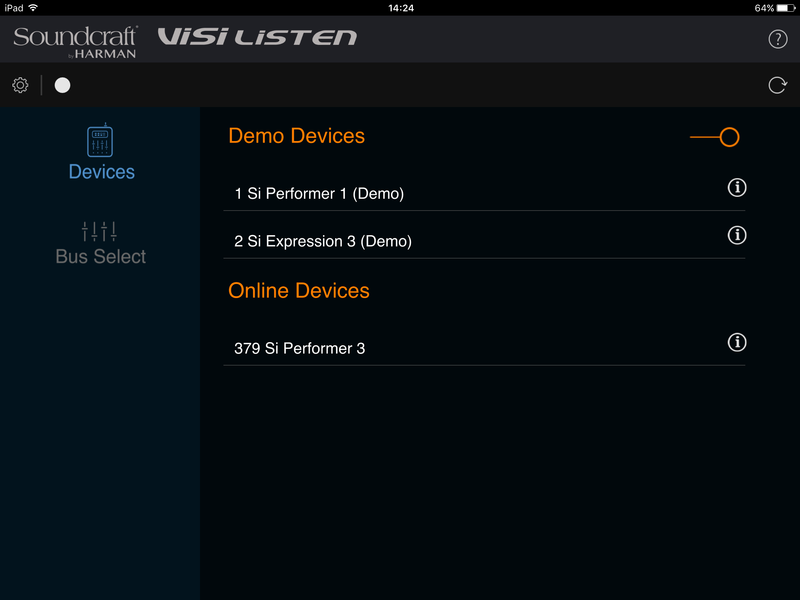 Create the perfect sound for the perfect performance by selecting the desired mix bus and customizing which channels feed into it for quick adjustments from a tablet. 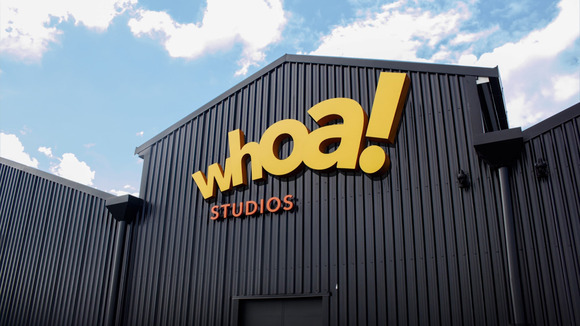 *Please make sure your console is updated before using this software. 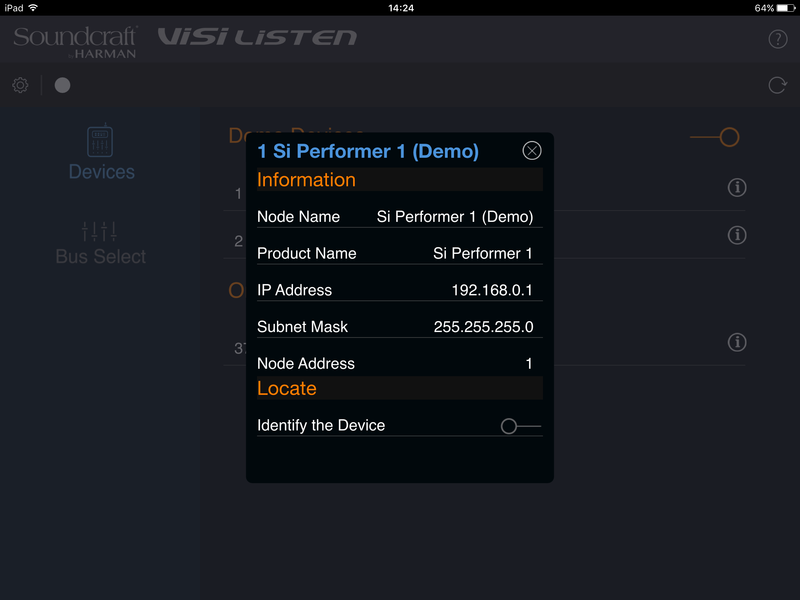 Note: Devices with Android 4.3 or earlier are not compatible with the ViSi Listen app. 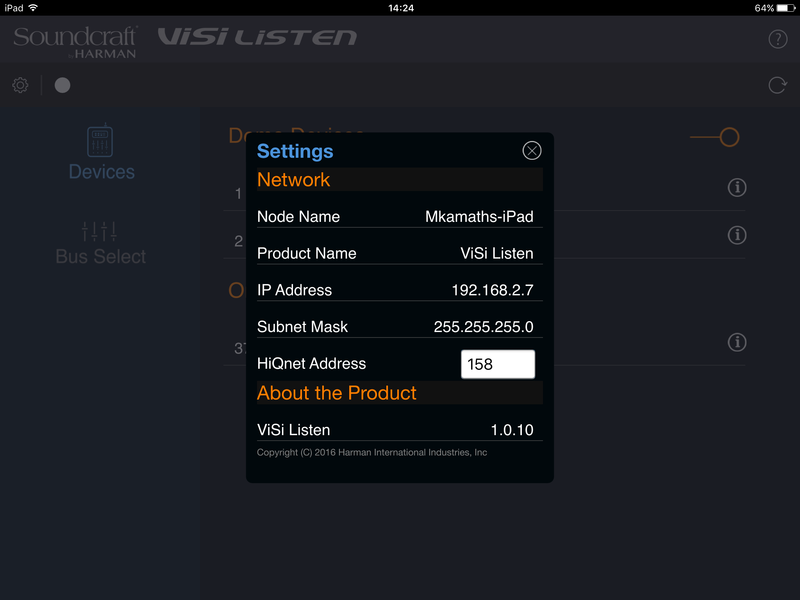 Note: iPad 1 devices are not compatible with iOS 7 and cannot use the ViSi Listen app. Since Si Series mixing consoles can be wirelessly networked, FOH engineers can control specific layers on multiple consoles. 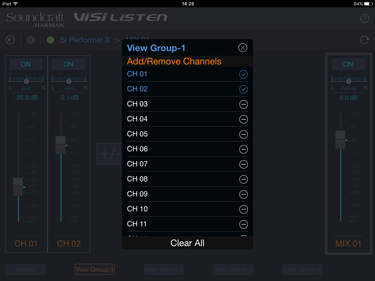 And now, thanks to ViSi Listen, multiple performers can adjust their respective monitor mixes without accidentally modifying the FOH mix or the channel and bus processing parameters. Better still, users can quickly customize which channels to view on their device with a tap of the “+” button in the View Group Page. 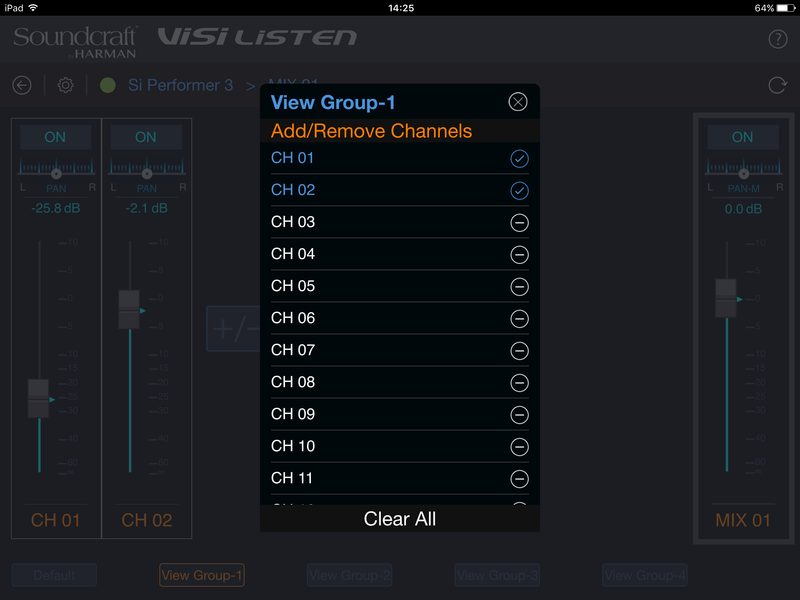 From there, performers can adjust volume and pan parameters on each of the selected channels for a truly personalized monitor mix.